Apple’s latest flagship phone, the all new iPhone 7 is now available in India. Although in the U.S the iPhone 7 starts at $649 which translates to almost Rs. 43222, in India you have to pay Rs. 60,000 for 32GB model of iPhone 7 which is significantly higher than the U.S price. But don’t worry Airtel has got you covered, Airtel is offering the iPhone 7 at just Rs. 19,990 in addition to following postpaid plans. The offer is currently available for customers in Noida and Karnataka. The offer comes up with a one-year postpaid plan agreement which means once you bought the iPhone 7 from Airtel you won’t be able to switch to another telecom network. After completion of one year period, you can continue using your current handset as an unlocked phone by paying the balloon payments or upgrade to the new iPhone with future plans. For upgrading to the new iPhone or to continue using Airtle postpaid service the user has to visit the Airtle store withing 30 day after completion of the year period. If you wish to continue using the Airtel postpaid plans, Airtel will offer you the plans at the lower rates 1999 plan for 1199, the 2499 plan for 1599, and the 2999 plan for 1999 per month. 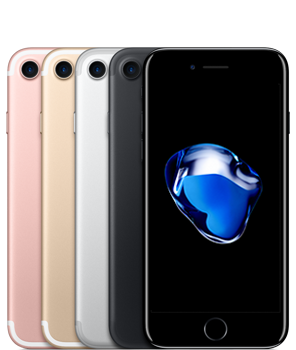 The iPhone 7 comes up with the new Apple A10 chipset, 4.7 inch HD retina display, improved 12 MP primary camera with OIS and 4K recording, 7 MP secondary camera, iOS 10, front facing stereo speakers and 1960 mAh non removable battery. iPhone 7 is now 40% faster than the iPhone 6S thanks to the new A10 fusion chip.